Land & train transfer, breakfast * 1, lunch * 1, Conservation fee. This tour available on WEDNESDAY & SATURDAY only. North Borneo Railway is the oldest running steam train in Sabah and Borneo. The nostalgic romance of an old steam train relives memories of a bygone era. Passing through villages and coastal towns, paddy fields, rainforests and plantations of rubber and coffee, a ride on North Borneo Railway is truly a journey of rediscovery into the heart of Borneo.The North Borneo Railway offers passengers an opportunity to experience the bygone era of British North Borneo while transporting passengers along the lifeline of Sabah. Boarding at Tanjung Aru Station - Breakfast is provided. Depart from Tanjung Aru Station for Papar. 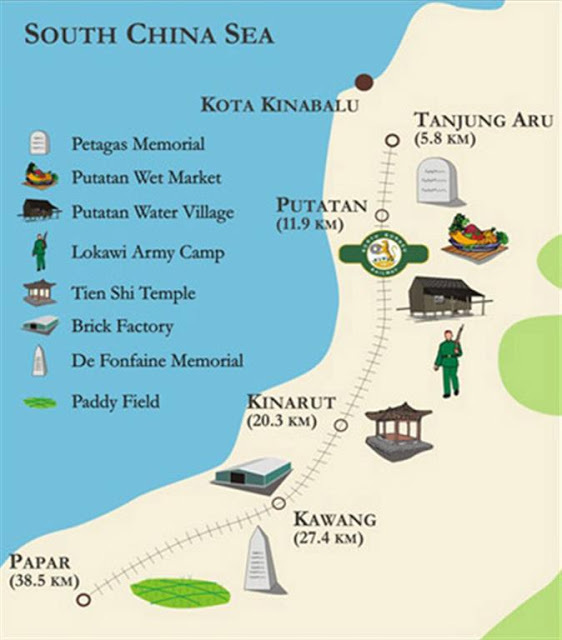 Stop at Kinarut Town - visit Tien Shi Temple or traditional shops. Arrive in Papar Town - visit local wet market and shops. Re-board train for return journey. Depart from Papar Station for Tanjung Aru. Arrive at Tanjung Aru Station, transfer back to hotel. This tour may takes about 5 hours. Cancellation & Refund Policy: Over 14 days (from date of departure) charge 30% of Tour fare; 7 to 14 days (from date of departure) charge 50% of tour fare; Less than 7 days (from date of departure) charge full tour fare. No refund for those tours which involve accommodation.